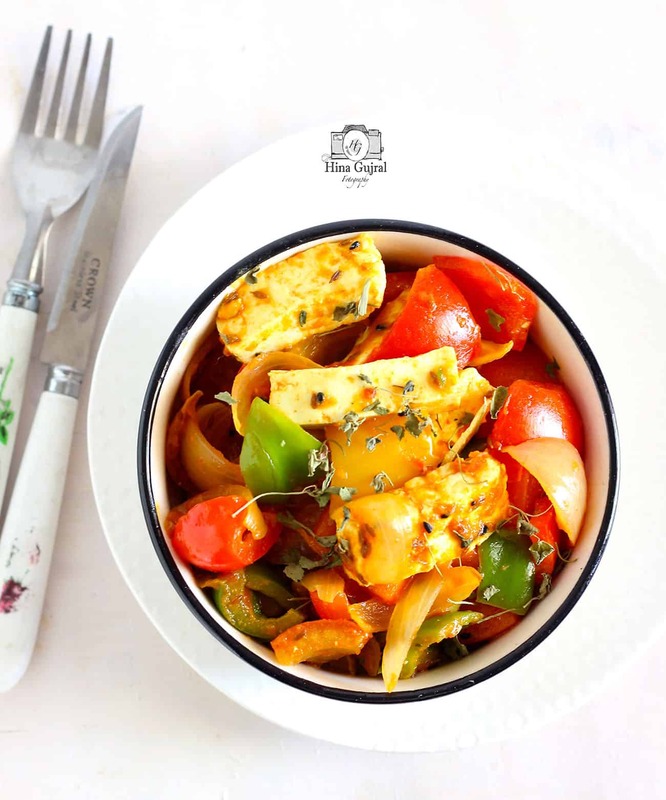 In recent years Paneer Jalfrezi or Mixed Vegetable Jalfrezi has gained quite a rank in popularity charts of vegetarian dishes in India. But until lately I was unaware of the meaning of the word “Jalfrezi”. Earlier I use to think Jalfrezi is some kind of special spice used to season Paneer Jalfrezi. 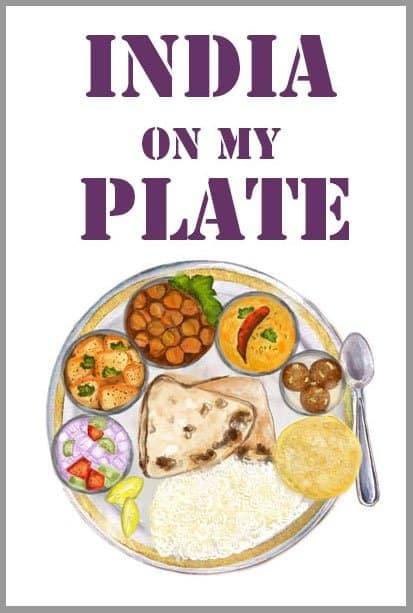 The word “Jalfrezi” or “Jhalfrezi” or “zalfrezi”is a combination of two words Jhal + Pharezi. Jhal is a Bengali word for spicy and Pharezi in Urdu means suitable for diet. 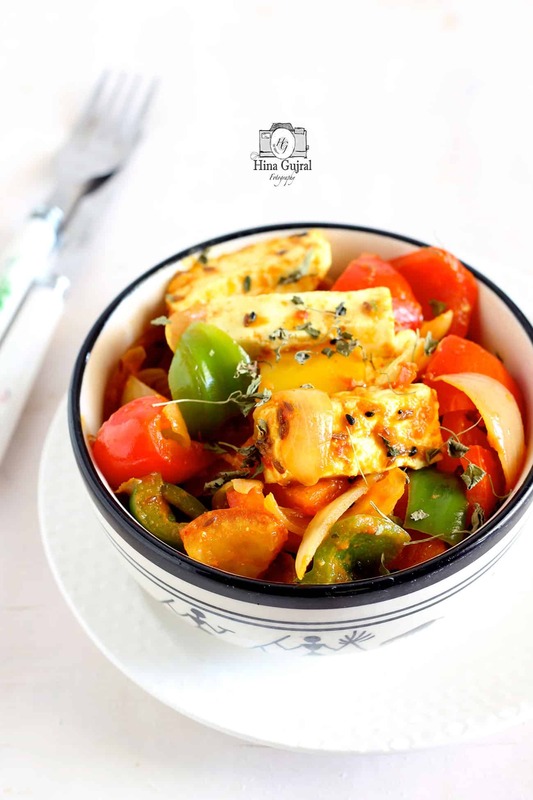 Paneer Jalfrezi is a mildly spicy curry with a dash of sweetness to it. A few days back the famous celebrity chef Jamie Oliver made Vegetable Jalfrezi in one of his shows so now you can make out that Jalfrezi lovers are not confined to India only. 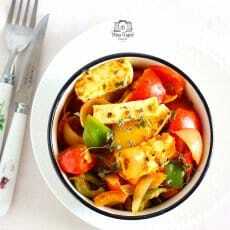 The variety of seasonal vegetables can be used to prepare Paneer Jalfrezi. I made this Paneer Jalfrezi for the Diwali Dinner along with Nimrish Dum Aloo (Jain Dum Aloo), Dal Makhani and Garlic Naan. The next day after the party I was so tired to cook an elaborate meal for lunch. So stuffed leftovers of Paneer Jalfrezi in tortilla wraps along with a drizzle of some sauces and to my surprise that too was the crowd puller. 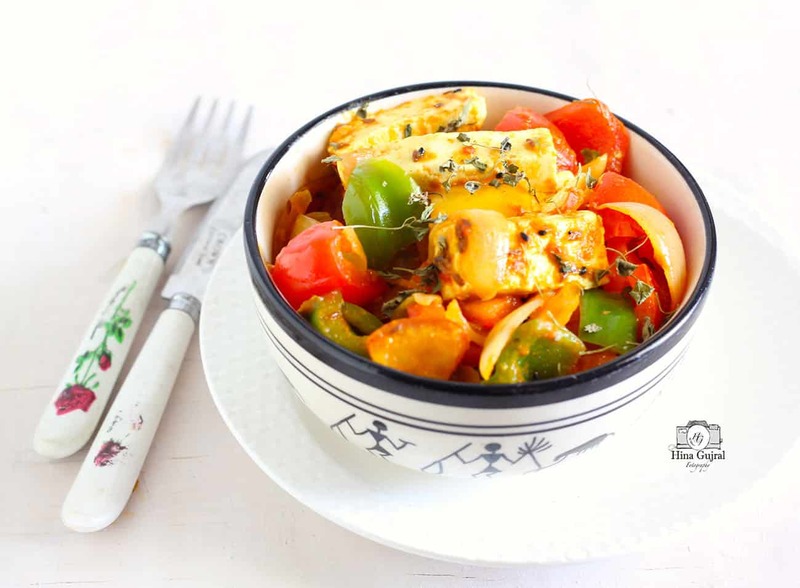 Paneer Jalfrezi is a mildly spicy curry with dash of sweetness to it. Heat oil in a stir-fry pan ( buy it here ) over medium heat. Add cumin seeds and nigella seeds, let them splutter. Add chopped onion, fry till onion turn pink. Add ginger-garlic paste and fry well for a minute. Add thinly cut carrot strips and fry on high flame for 1-2 minutes. Add tomato puree, tomato ketchup, turmeric powder, red chili powder, coriander powder, mango powder, garam masala and salt. Fry them until the mixture is slightly dry. Add the colored bell peppers,capsicum and fry again on high flame for 2 minutes. At last add tomato strips (seeded and cut) and paneer strips and gently mix them until all the masalas coat all the vegetables and paneer.Continue cooking for 2-3 minutes but do not stir very frequently otherwise Paneer strips will crumble. Sprinkle kasuri Methi and garnish with fresh coriander leaves. Serve Paneer Jalfrezi warm with chapati or naan. Tried it. It was awesome. Thanks for the recipe. And the pictures are great as usual.